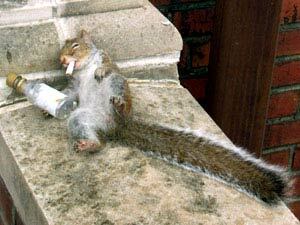 Canny Squirrel: A bad day on the markets! Are you a Canny Squirrel? Everything is getting more and more expensive and we are getting worried! We are going to search out the best deals available and look for ways to make and save you money every single day. Here at Canny Squirrel we can share our ideas and make sure that we are all better off as a result. Come on in and be a Canny Squirrel today!!! I never pay full price for anything....well that's a bit of an exaggeration, but you know what I mean. We should always be trying to get a better deal on the things we buy and the services we use. With Loans and Mortgages getting harder and harder to come by, unemployment on the increase and fluctuating fuel and gas prices, every penny counts! This is the ideal place to share your thrifty tips and help everyone save and make money and become Canny Squirrels. A bad day on the markets! What a difficult time we are going through worldwide. Today we saw Lehman Brothers go bankrupt and Meryl Lynch being taken over by Bank of America. Stockmarkets around the world plummeted with Financial stocks suffering particularly badly. The word on the street is that it's not over yet. There's still more to come, so we need to be even more canny with our money and thriftyness. I went searching for a funny youtube clip for Canny Squirrel to lighten the mood of the day. Have a look at this one!! Get our tips emailled direct to you. Email in your money saving tip between 1st September and 15th October, or add your tip to the bottom of one of our posts and your email will be entered into a draw for £20 of itunes vouchers. Three runners up will also win a Canny Squirrel pen. Share your good ideas today! Being thrifty takes lots of effort and you need good sustenance to help you along your way. What better than Millionaire Shortbread to give you a boost. Can you find the best Millionaire Shortbread in the land. Let us know which shop/cafe/restaurant serves the yummiest, scrummiest Millionaire Shortbread, and we will give you the top ten here. 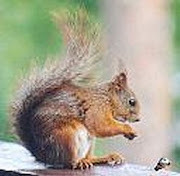 Oh dear...not such a Canny Squirrel! A word to make you sound clever! Funky Gifts and Presents - Jen's website!